For every day in January, Connor got a red day at school! 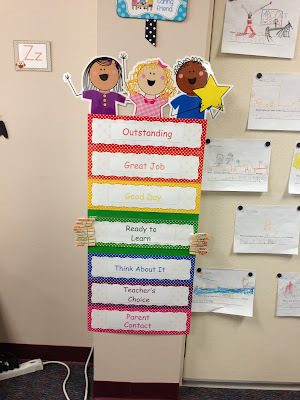 In his classroom, there's a color chart, and everyone has their name on a clip and everyone starts each day on Green. If they are good, their teacher moves their clip up and if they're bad, the clip goes down. Red is the best you can get and pink is the worst. As long as the clip stays on or above green, it's a good day and we're happy with his behavior. You have to be especially good for the clip to end up on Red. There were a few days where Connor was the only child in class to have a red day. We're very proud of Connor, he's such a great student! He IS a very good guy.